The California Enterprise Development Authority (CEDA) is proud to serve as issuer in the May 2017 financial deal closing with the Irvine Ice Foundation. The Foundation is a 501(c)(3) non-profit organization founded in 2016 to build on the Anaheim Amateur Hockey Association’s legacy in the local community serving thousands of youth and their families in Orange County each year. Farmers & Merchants Bank (F&M) served as the bank in this project and is one of the oldest and strongest financial institutions in California. With almost $7 billion in assets, it is one of the top 150 banks in the US, and is a strong supporter of 501(c)(3) tax-exempt financing. Since 1996, the Anaheim Amateur Hockey Association, consisting of the Anaheim Jr. Ducks and the Anaheim Lady Ducks, has been in operation and committed to its mission of growing the sport of hockey and skating in Southern California. The $75 million deal through CEDA finances the Irvine Ice Foundation’s construction (which began in February 2017) of a new state-of-the-art public skating facility at the Orange County Great Park. 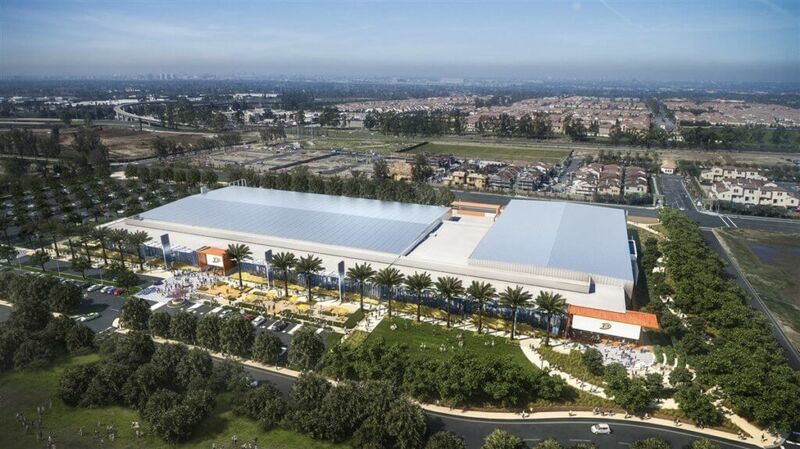 When it opens in early Fall 2018, the Great Park Ice & Sports Complex will be the largest in California and one of the largest in the U.S. with a 280,000-square-foot structure. The Complex will be owned by the Irvine Ice Foundation and managed by locally-based civic leaders. All proceeds generated from the Complex will be applied to further the growth of ice sports and activities locally. The new facility will provide significant benefits to the residents of Irvine and its surrounding community through the cultural, recreational and educational services provided by the Foundation. Tax-exempt financing through CEDA provides the Irvine Ice Foundation with the benefit of demonstrable savings in effective interest rate. Additionally, the new facility will create 15 full-time and 150 part-time positions while serving more than 10,000 youth each year. About CEDA: In 2006, CALED established CEDA, a Joint Powers Authority (JPA), to address gaps in Economic Development financing. CEDA is committed to providing alternative financing options to manufacturers, 501(c)(3) non-profits, and California communities, with the ultimate mission of supporting economic development. To learn more about CEDA, please visit its web site at https://ceda.caled.org/.